This work aims to provide coverage of construction costs from small scale alterations and repairs to the largest residential or commercial developments. It includes a tender index which allows updating every three months. 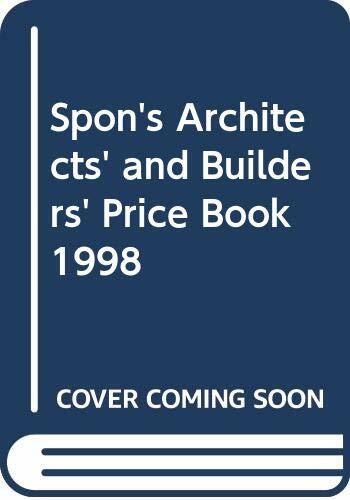 Spon's A & B provides comprehensive coverage of construction costs from small scale alterations and repairs to the largest residential or commercial developments. With competition growing fiercer throughout the industry, the A & B's unique tender index, which allows updating every three months, will be more valuable than ever before.